Scott Barbour/Getty Images(LONDON) — A tearful Andy Murray said his tennis days are numbered. 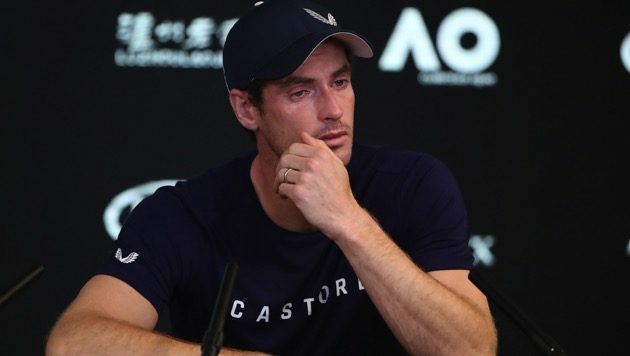 The 31-year-old tennis star announced at a press conference in Melbourne, Australia that he intends to retire after Wimbledon this year, if he can make it that far, due to a debilitating hip injury. Murray had to pause several times to compose himself as he told reporters that he wasn’t sure how much longer he could play given his serious hip pain. “I said to my team, ‘Look, I think I can kind of get through this until, until Wimbledon.’ That is where I’d like to – that, that’s where I’d like to stop playing,” he said. But the three-time Grand Slam Champ added he’s not certain he can do that. Murray has a severely damaged right hip, and said he’s been playing with hip pain for much of his career. The pain, he said, has only worsened since he had surgery in 2017. Murray reached hero status in the UK with two Wimbledon titles, a U.S. Open championship and two Olympic gold medals. In 2016, he achieved the honor of knighthood. He plans to compete next week in the Australian Open.